Hiring Employees has always been a tough job for the companies. From screening process to the final appointment letter, this hiring procedure uses a lot of resources and time. In spite of all this, the employers may still feel unsatisfied. This is due to the fact, that they are unsatisfied with the skill level of the candidates. But one factor that can be held responsible for this issue is the linear hiring policy followed by the company’ recruitment team. So, what could be the possible solutions for it? How can this situation be avoided? There is a lot to ask. 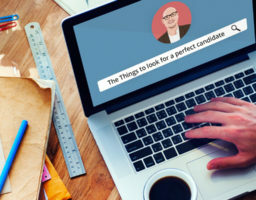 Another reason that raises such an issue is that the organizations are unable to look further than their internal recruitment. There are plenty of options available for you. From Sub-Vendors to off-shore RPOs, there are a lot of reliable options. Let’s have a look. Sub-vendors are just like service providers. Their task hires a candidate for you. The client organization has full control over their actions included in hiring a candidate. Their services are highly reliable and quality oriented. Partnering with an RPO or Requirement Process outsourcing refers to the fact that you approach such a sub-vendor and hire him for your recruitment requirements. You may give the whole control and command to the RPO team or can only keep them in supporting role. Another available option is to have your own RPO team. That gives you complete control and command over the hiring procedures and the strategies used. The question that arises now is what option to choose. Well, the answer to this resides with you and your requirements only. It depends on upon the requirements, your financial structure, and hiring frequency that what exactly will be the best option for you. The first factor that is to be counted is the financial constraints. That means what kind of service you can afford. If your organization is financially strong, then you can even have your own RPO team, on the contrary, if the financial constraints are bigger for you, then the best-suited option will be to hire or partner with an RPO. Another factor is the hiring frequency of your company. That means how frequently your company hires? If your company has frequent requirements for new employees than having your own RPO is the best choice but if it is an occasional affair for you, then partnering with an RPO is surely enough. These were the two basic parameters which need to be considered while deciding that you need your own RPO or want to partner with one. Partnering with an RPO can be a versatile choice for any organization. It gives you the services which are more economically sound and dependable in nature. Glocal RPO gives you the much-required market edge with its unique and dependable policies. Our dynamic hiring strategies can help you achieve the talent that can take your company to new highs. If you have any query or trouble regarding recruitment, Glocal can provide you with trusted solutions. To know more, get in touch with us at _____________. 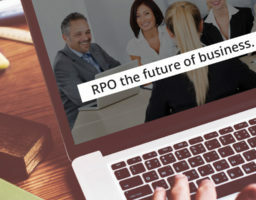 Previous post: RPO the future of business.